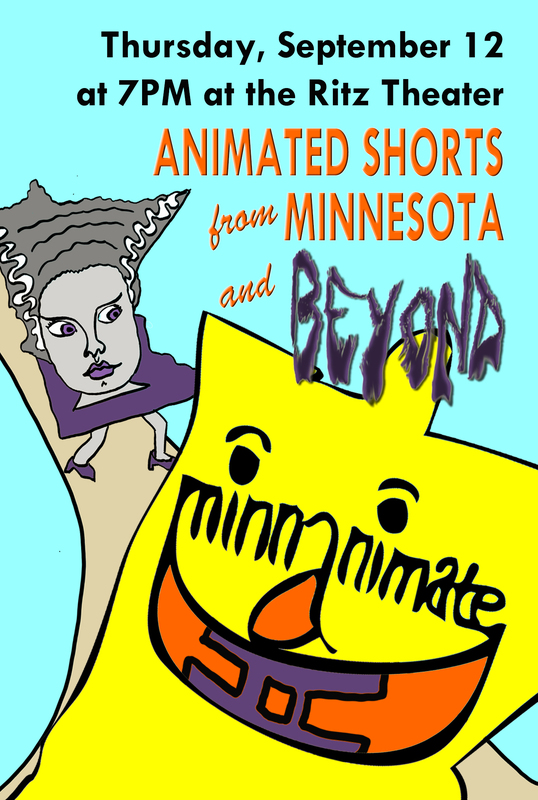 You can now buy your tickets to MinnAnimate II from the Ritz Theater website! I wanted to study animation at MCAD literally because it was the only medium I knew absolutely nothing about, and wanted to try my hand at. I love to draw, I always have, so I felt my skills there would see me through. 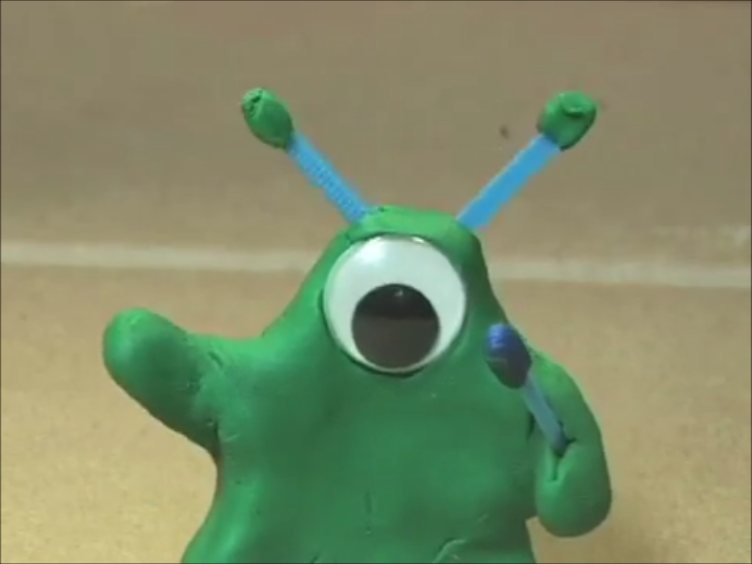 Once I finished my first character animation class I knew I wanted to be an animator. I love making things move, and telling stories. I like to make people laugh. “Leonard” is a project I made in my senior year at MCAD. I wrote it initially to fit within the time constraints we were given (no more than 2 minutes). I wanted to do something funny, or at least funny to me, since I’d be working on it pretty much all the time for about 10 months. 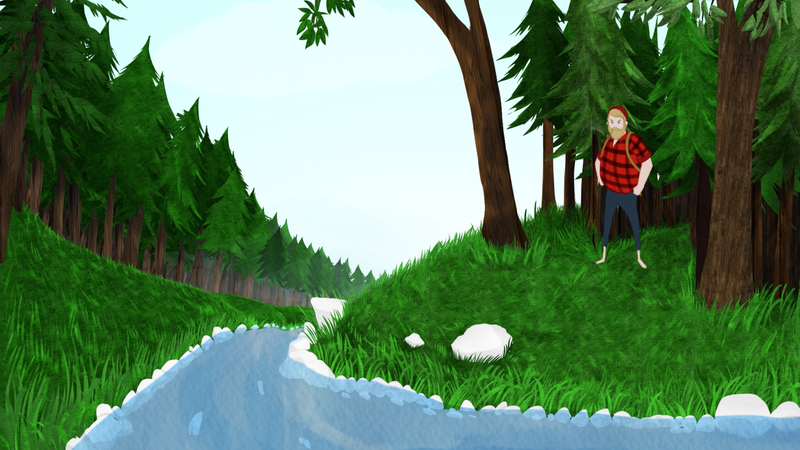 It is the first fully realized animation I’ve made. Before I became pretty engrossed in animation as a digital format, I loved to paint with watercolor. I’m really attracted to bright palettes, which is probably why “Leonard” is so saturated in color. I also used some watercolor textures in the backgrounds that I had scanned into Photoshop. 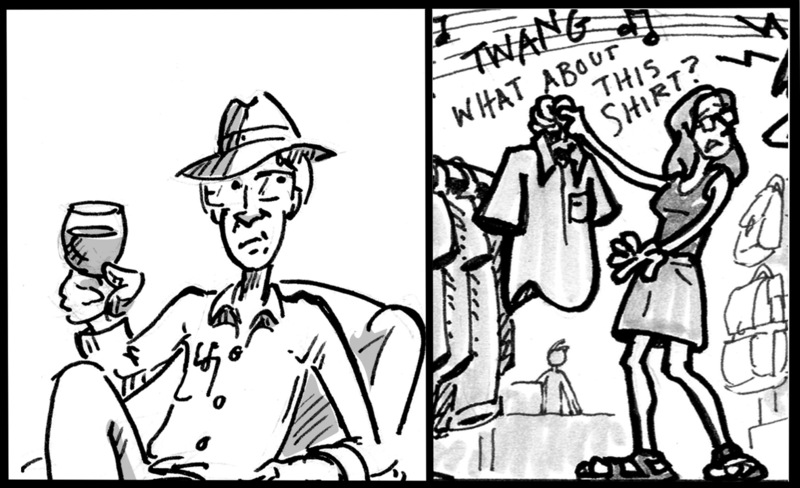 I also love film, so my approach to animation tends to be very cinematic and less “cartoon” like. I’ve been told I have a naturalistic style of animation…I animate characters based on how they would move in real life. David O’Reilly is probably my all-time favorite contemporary animator. He uses 3D low poly characters in really conceptual and interesting ways. He’s also not afraid to tell people what’s on his mind, and he’s a very accessible artist – I’ve had conversations with him on twitter and via email. As far as structure and writing, I think I’m very influenced by Wes Anderson, specifically his stop motion “The Fantastic Mr. Fox”. It was the first animation I saw that really opened my mind to the possibilities of the medium. I think there are a lot of opportunities to make work in Minnesota with all the artist grants that are available. There are a couple animation studios in town that were started by MCAD grads. From that point of view, I think MCAD gives its students the skill and work ethic to be able to be successful. Once you graduate and overcome the student loan dread, there’s a lot of opportunity out there. On the other hand, you don’t even need to go to college to be an animator. Tom Schroeder, who was one of my animation teachers at MCAD, just started making films because it was what he wanted to do. Now he’s a pretty successful independent animator. I think that’s kind of awesome, and it definitely inspires me. I think to make Minnesota a better place for animation, we just need to keep supporting artists. Especially young kids who show an interest in the arts…I knew a lot of kids when I was younger who weren’t supported in their artistic talents and they just stopped using them. I was very lucky and had a very supportive family, but there were always comments from my peers such as “you have too much time on your hands” or I had people asking me if I was going to be a “starving artist”. I didn’t care about those comments then, and I don’t care about them now. I do what I can to live, and make work, and it couldn’t have been possible if I hadn’t had even the tiniest bit of support. So, supporting and encouraging young artists is absolutely essential. I love how animation blends some of my favorite forms of creative expression; writing, drawing, and yelling strange voices into a microphone. I love how one can use the elements of visuals, timing, and sound to tell a story, convey a mood, or just make someone laugh. Animation is a craft that’s uniquely rewarding in that it truly gives you what you’re willing to put into it. You just have to be crazy enough to endure. If you’re willing to take that time though, the rewards are endless. At the Burger Buddy, you never know who might stop by for a burger & some fries. Written, voiced, and animated by Greg Bro, “Famous People. 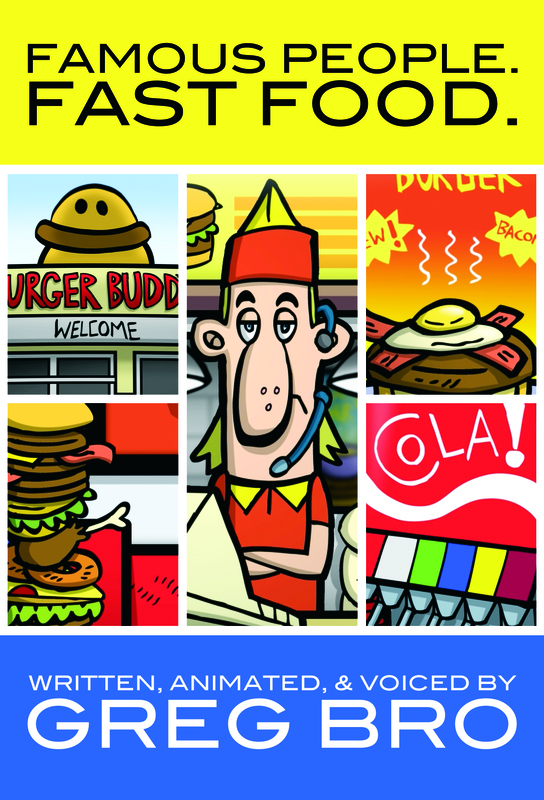 Fast Food.” debuted at the 2013 L.A. Comedy Shorts Film Festival. I love writing, humor, and storytelling, so they’re natural elements that feed into my animated work. I find I can’t even doodle now without thinking of them in the context of a fuller narrative. Hard to say. It can truly vary from project to project. I find I am just as influenced by live action storytelling as I am by animated media. Visually though I tend to enjoy the richer visuals of children’s shows (Adventure Time, Regular Show, Foster’s Home for Imaginary Friends) and the writing/humor of the more adult oriented programming (South Park, Bob’s Burgers, Breaking Bad). If you make your brain available, there’s inspiration everywhere. I believe the potential is there. The conduit between the creative and their audience is a little more challenging to find in MN, but the talent and the appetite for it is there. There needs to be more opportunities, like MinnAnimate, for artists to showcase their work and connect with an audience. Here’s the MinnAnimate II poster by animator Beth Peloff. Mark September 12th on your calendars!